Your router does not go as fast as it should? Find out how to update your router in the following guide. The router offers an Internet connection for all devices in your network, performing its task in a silent and effective manner. Unfortunately you only remember him when there is a problem with the connection, like slow Internet or WiFi that cannot take in all points of the house. If in these situations you think the only solution is to buy a new router, you could try the way to update the firmware as the last resort. Like any other device, the router has an operating system (called firmware) that can be updated if necessary with an improved version, able to solve the problems you’ve encountered in most cases. 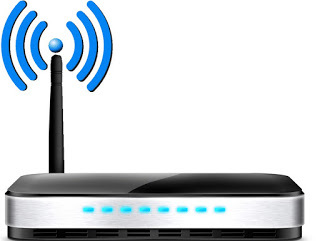 Find out in this guide how to upgrade router firmware to improve the speed of Internet connection or the connection speed of the WiFi network. I have enclosed the whole procedure to follow to update any router in this guide, you just follow the key points that I treated here in low to eventually get your network device up-to-date (if any). 1) Router offered by the operator or purchased by you? These are the models provided in the last period but many other modems have been provided in the past years, you just need to check if they have the operator logo. When subscribing to your subscription, has the operator given you the modem included in the offer? These routers or modems have an automatic update system that recovers the new firmware made available by the operator and install it automatically, without user intervention. If you have one of the modems shown here above or any other modems here, you do not have to do anything to update the router, because if necessary it will update itself. If the router was purchased by you and therefore does not have the operator identification marks, you can obtain the new firmware by first checking which model you have. To find out which router model you have, just look at the label on the back or bottom of the device, as shown in the image below. If you could not find any reference to the router model (maybe because the label has been damaged or detached) you can always access the control panel of the same. Enter the address 191.168.1.1 in any PC browser or alternatively 192.168.1.2 and make the). Once you have discovered the model you have just enter the model in the support page of the manufacturer of that particular router. The main producers of network equipment dedicated to home use are collected in the following list. Once you find the manufacturer, enter the model name in the dedicated search field on the support page to open the product help page. If your router’s manufacturer is not included in this list. Try searching the name on Google and see if a support page is available. Have you arrived at the support page for your router? Check that there is a Download section or a Firmware section, so as to immediately check for updated software. Follow the instructions on the page to download the new firmware. Depending on the model in your possession you may have to download one or two files. These are essential for updating. Note : not all routers have downloadable updates, you may already have the latest firmware without knowing it! However, checking is not a problem, you may find unexpected updates even for very old models. Once you have downloaded the new firmware you can finally update the router to see if the performance increases. Warning! The update procedure may take a few minutes. You will not be able to browse the Internet or use any other function of the router being updated. During the update, the electrical current must never be skipped, otherwise, the device will be irreversibly damaged. Make sure you have a spare router to deal with any problems and avoid staying without the Internet. He took the necessary precautions brought into the configuration panel of your router (as already seen 192.168.1.1 or 192.168.0.1 from any PC browser) and finds the menu Firmware, Firmware Update, Firmware Update, Upgrade or similar among many present items. The procedure changes according to the router in possession. However, in the vast majority of cases just press the Browse button to select the new firmware downloaded on the PC. Then press the Update or Upgrade button to start the update procedure. Wait for the device to reboot and do nothing until the modem or router lights return to normal (in this phase they may flash or not come on for a few seconds). At the end, you will be reconnected to the router. You can see if the update applied has brought you some improvements. The router does not present firmware updates or the one present is not much? You can always try the alternative firmware, developed on free source code and installable following a specific procedure.